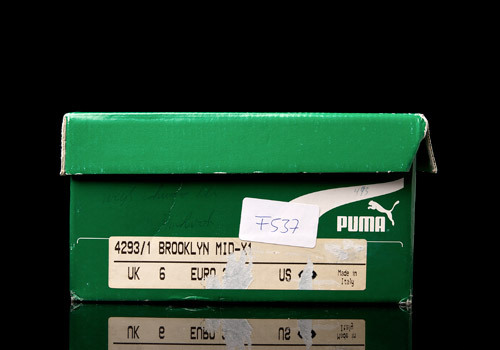 Entirely unpublicized and most likely unknown to the majority of trainer heads, the PUMA Brooklyn Mid-X1 resurfaces from our dusty archives in perfect condition. Talk about a funky running shoe, there are so many little details and design aspects of this shoe that make it unique it’s nearly overwhelming. 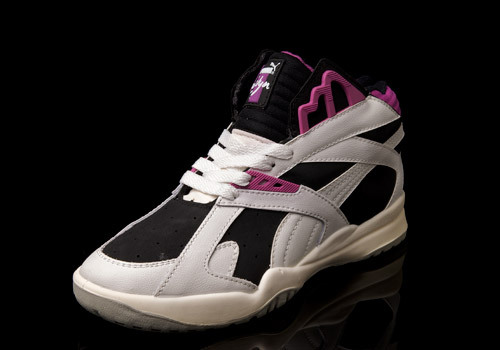 Crazy, crisscrossing, synthetic upper panels. 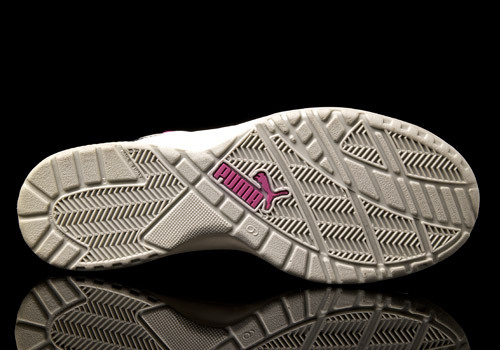 Smooth, non-marking, grey outsoles seamlessly bonded to the buttery white mid that morphs into the upper organically. 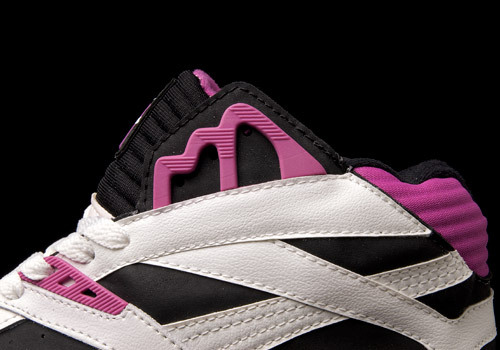 Evenly spread perforations through the toebox, side walls, and even the tongue. Super creative eyestay reinforcements made of rubber and plastic. Ribbed detailing in the tongue and ankle collar. Dope highlights. The fit and feel is decent too, thanks to the extra padding in the inner ankle lining. For a snug, slipper-like fit there’s some super thin walls around the pointed toe box. 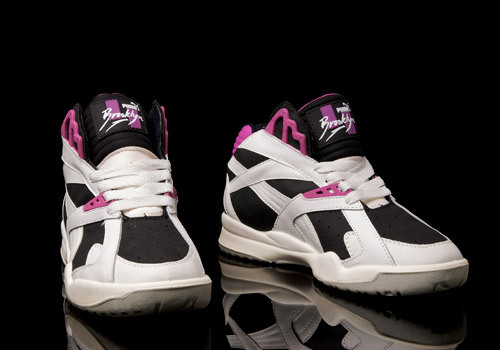 I personally don’t know anyone rockin’ a pair these days so I can’t attest to how they hold up structurally, though the upper seems viably sturdy. 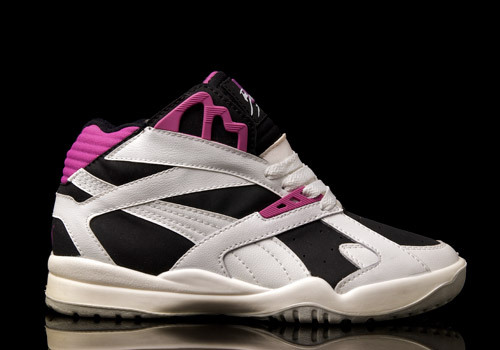 The sole unit, however, has a distinct PU feel to it, striking imaginative worry into my paranoid heart that these may turn to mush if one were to actually run in them (though we’ll have to get back to you on that point once we’ve sent a trainer lass out for a spin in these Mid’s). 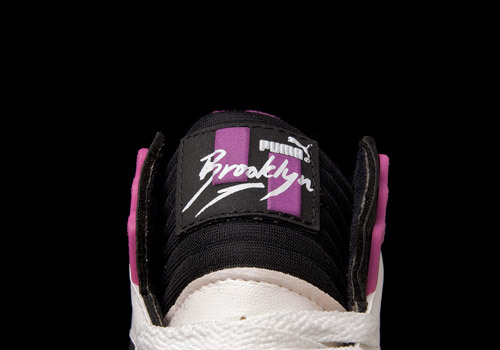 Why is it called a Brooklyn though? 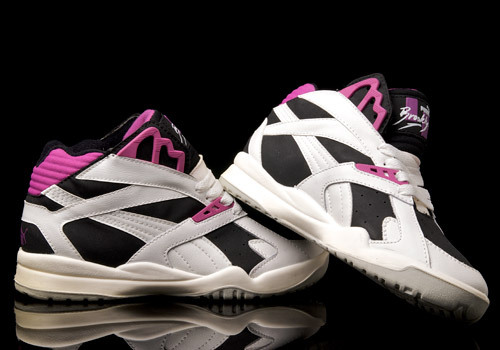 And what year was this pair even dropped originally? 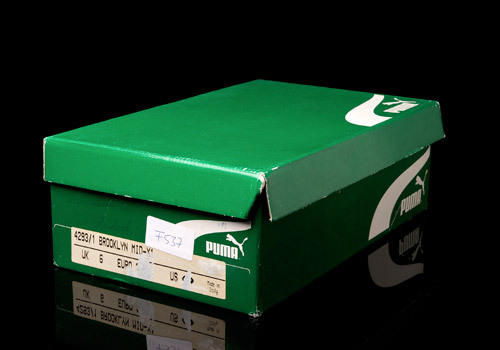 Other than their birthplace of Italy (a sure sign – along with the green box – that these ain’t nothing from the 21st century) many questions go unanswered regarding the ideas and stories behind the PUMA Brooklyn model, due to a lack of collective knowledge existing today. A disambiguation of the word ‘Brooklyn’ brings up more than a dozen places around the world (besides the well-known New York City borough) as well other possible references such as sea ships and celebrities. Interestingly enough both Tony Danza and Mary J. Blige have been called ‘Brooklyn’ at times. Whatever the true story may be, it’ll certainly surface when it must, but for the time being we proudly present these photos as evidence that PUMA was no tame cat back in the day. Certainly a force to be reckoned with and definitely the cause of much nostalgia, as (at least to our knowledge) these Brooklyn Mid’s have never been re-released.